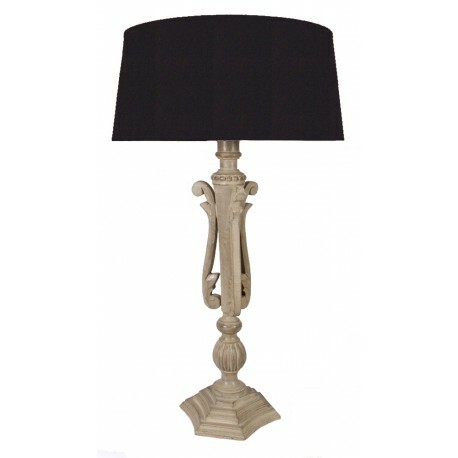 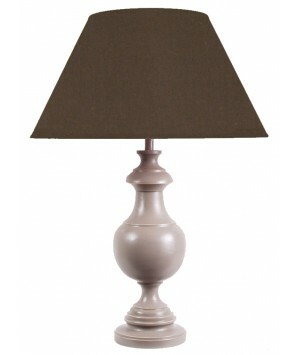 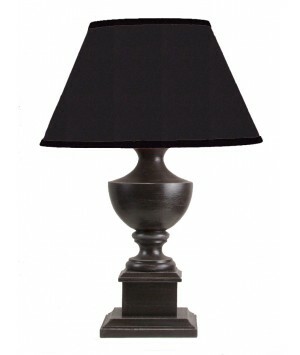 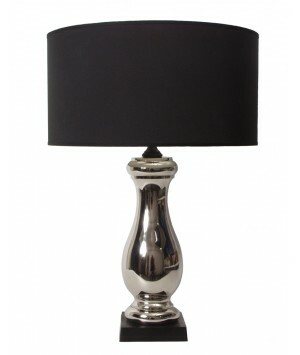 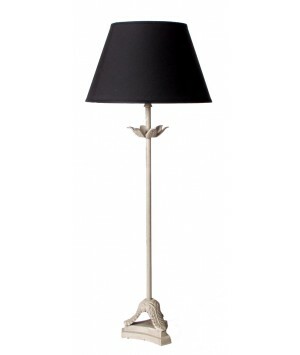 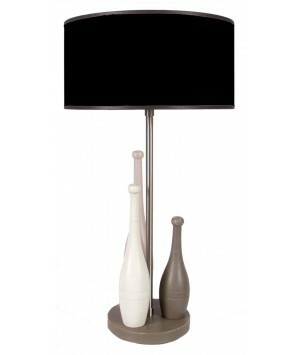 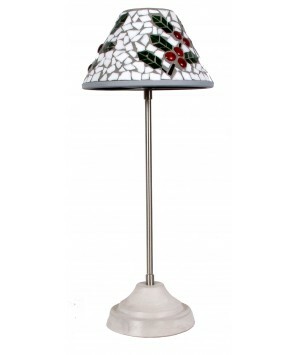 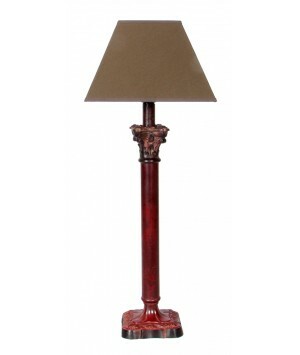 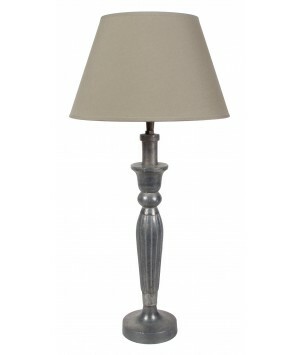 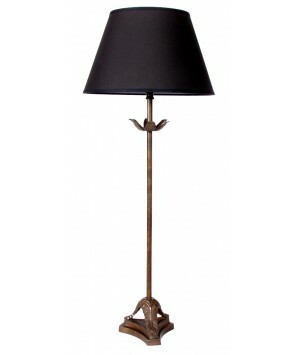 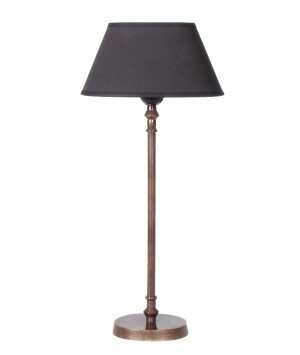 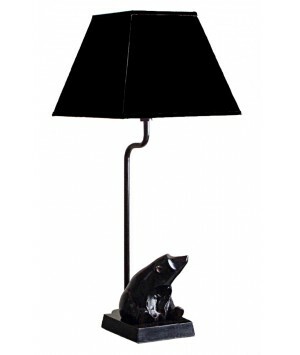 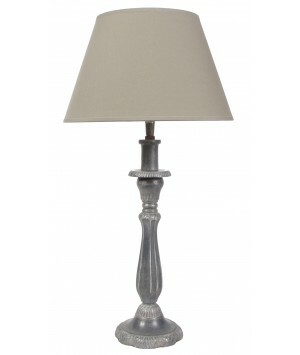 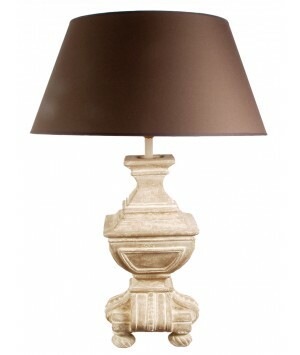 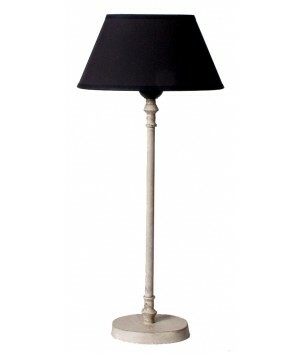 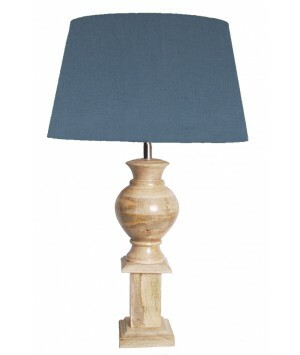 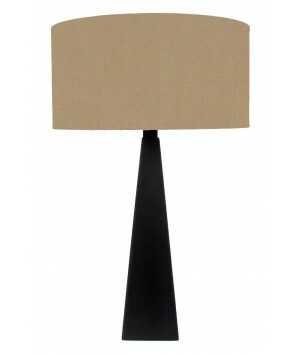 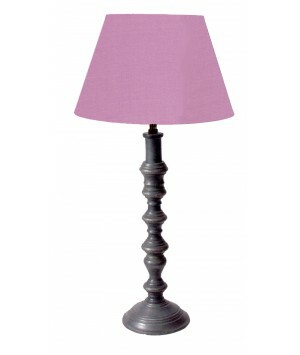 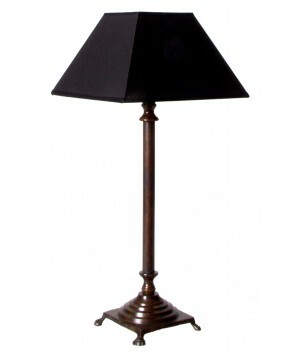 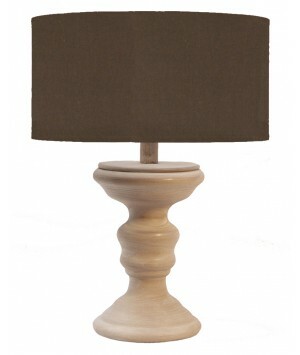 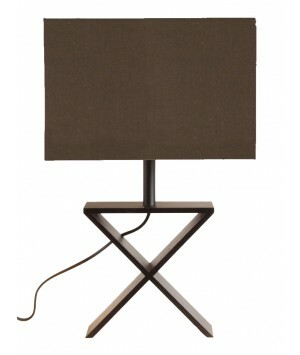 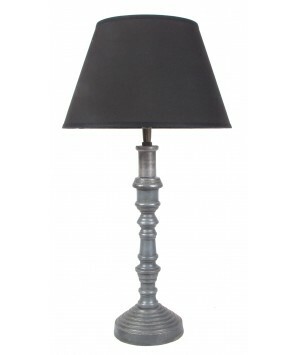 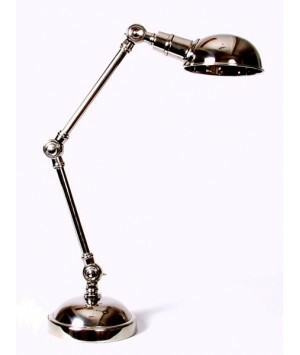 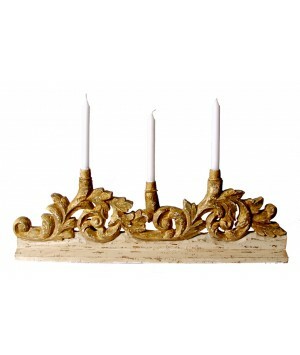 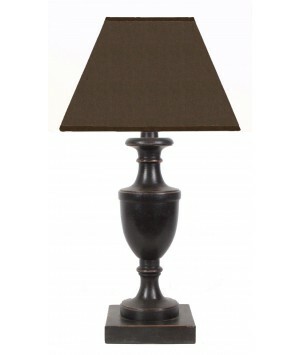 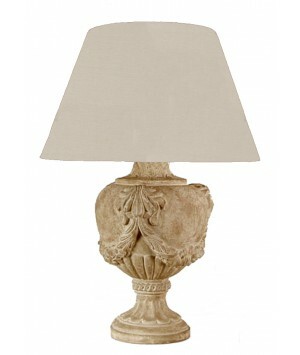 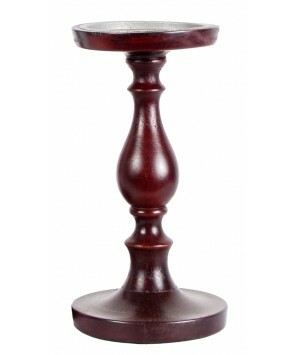 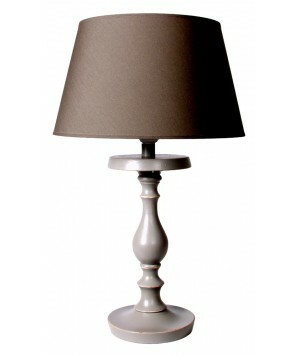 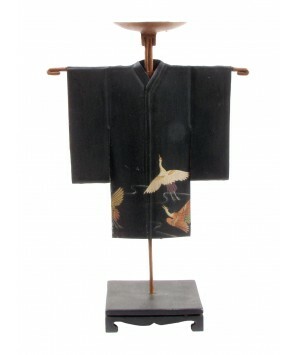 This lamp is in wood, hand made, its colo ris patinated grey. 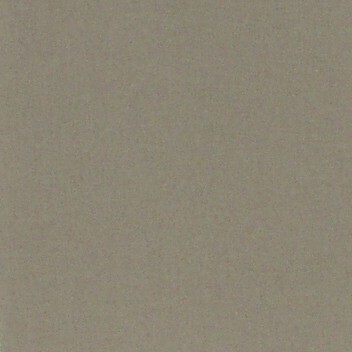 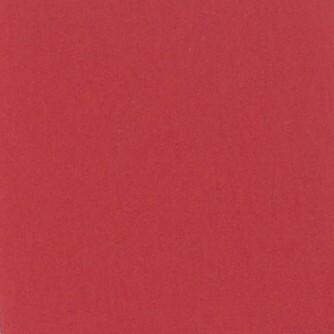 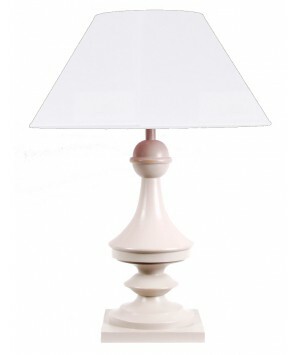 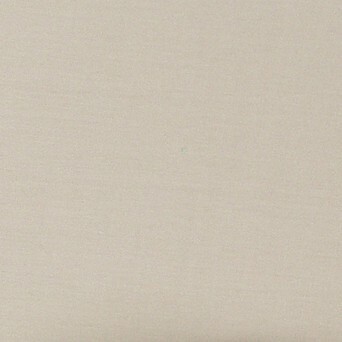 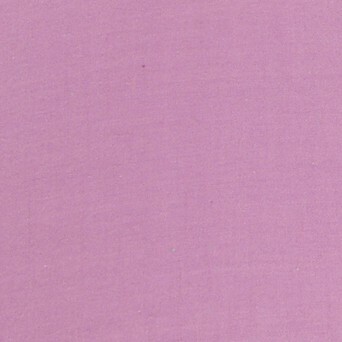 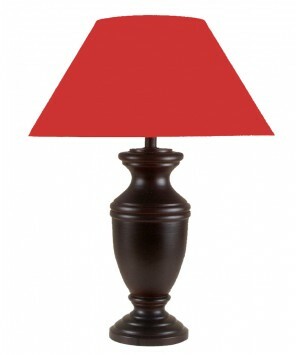 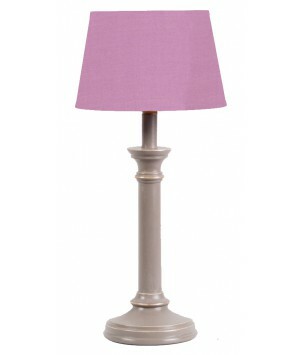 The lampshade can be found in 17 colors, according to your choice. 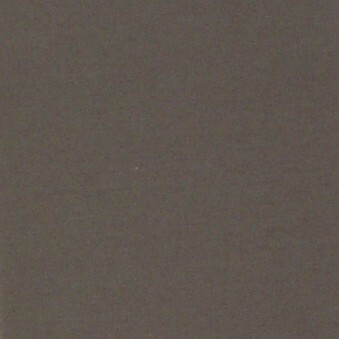 that does not warm up, with a lifetime 10 times longer. 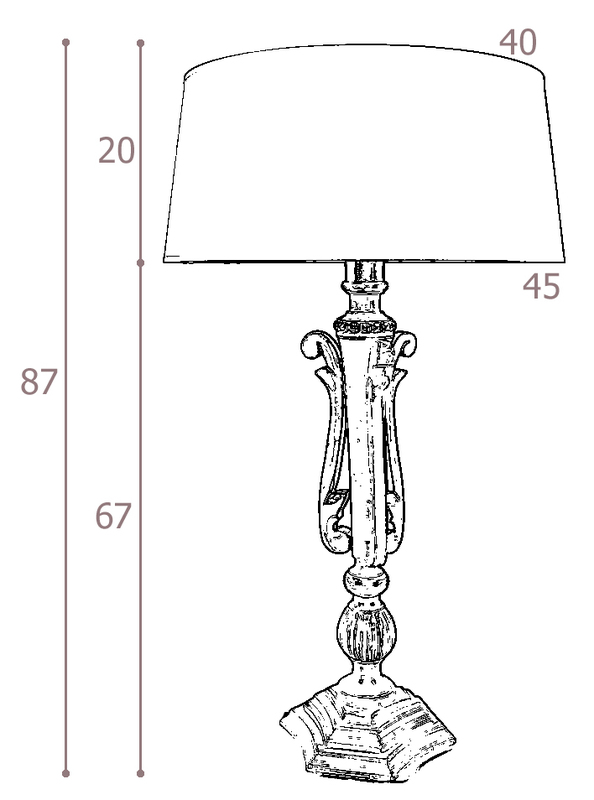 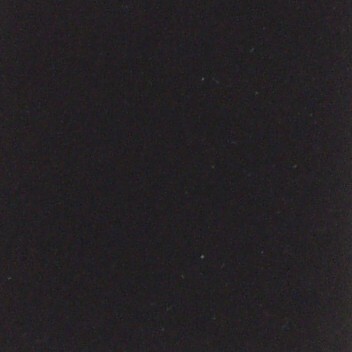 lumens = 40 former w.
800 lumens = 65 former w.